July 2015: The United States currently faces multiple national security threats in an environment of growing disorder. 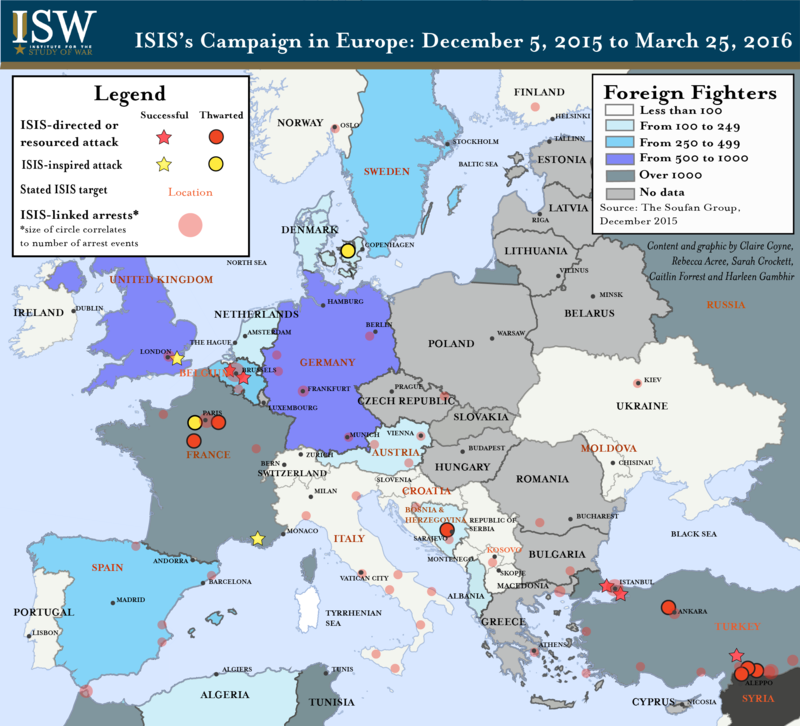 ISIS is executing a sophisticated global strategy that involves simultaneous efforts in Iraq and Syria, the Middle East and North Africa, and the wider world. Russia has been "reflexive control" in Ukraine since early 2014 that causes a stronger adversary voluntarily to choose the actions most advantageous to Russian objectives by shaping the adversary’s perceptions of the situation decisively. 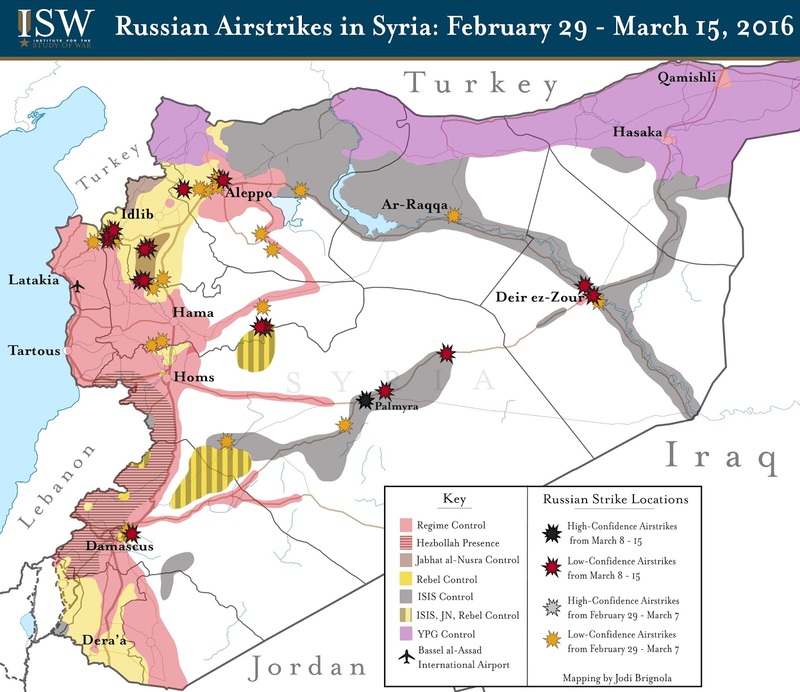 March 2016: International negotiations to reach a political settlement in Syria resumed following two weeks of a “cessation of hostilities” in which the Russian air campaign in Syria decreased notably, though it did not entirely cease. The Islamic State of Iraq and al-Sham (ISIS) is not the only Salafi-Jihadist threat emanating from Syria. JN rivals ISIS as a sophisticated, intelligent, strategic actor in the region. 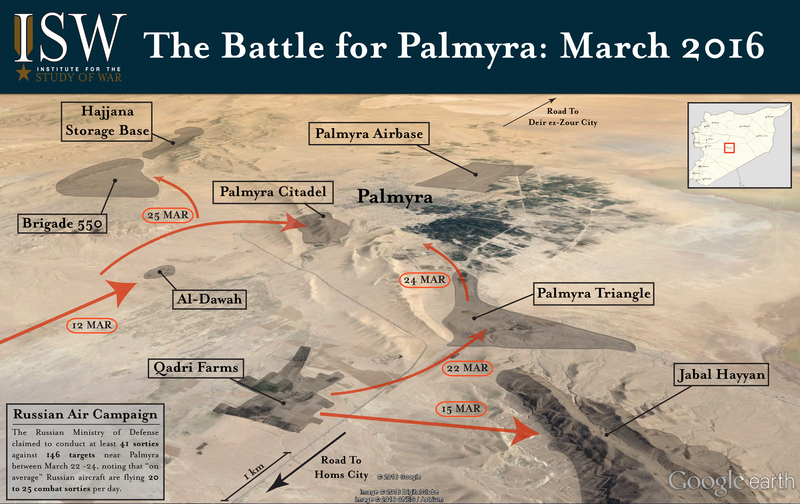 The Institute for the Study of War launched its Middle East Security Project in November 2011. The project seeks: to study the national security challenges and opportunities emerging from the Persian Gulf and wider Arab World; to identify ways the United States and Gulf States can check Iran’s growing influence and contain the threat posed by its nuclear ambitions; to explain the shifting balance of power within the Middle East caused by recent upheaval, and assess the responses of the United States and Arab States to address these changes as they emerge. ISW's Research Director, Jessica D. Lewis, talks about ISIS and Iraq on MSNBC's 'The Cycle," stating that ISIS has a "post-war vision to make this Caliphate a reality." ISW Syria Analyst Isabel Nassief talks with Syria Deeply about the Syrian Regime's stance in Aleppo and Homs.